Bring the water, vinegar and salt to a boil. Prep the lids/jars. Evenly divide all of the spices and peppers between 2 or 3 pint jars. Add the Brussels sprouts, leaving 1/4 inch headroom. Pour in the vinegar mixture, still leaving that 1/4 inch headroom. Close the jars and process for 10 minutes in a hot water bath. Allow to sit at least 1 week before eating. I really miss canning in the winter. I was writing my latest cookbook during the heart of citrus season and didn't get a chance to make marmalade. I thought I might have to wait until spring to can but when I received these green heritage Ball jars, I knew I had to make something in them! I wanted to make something that would look pretty in the jars (vain!) 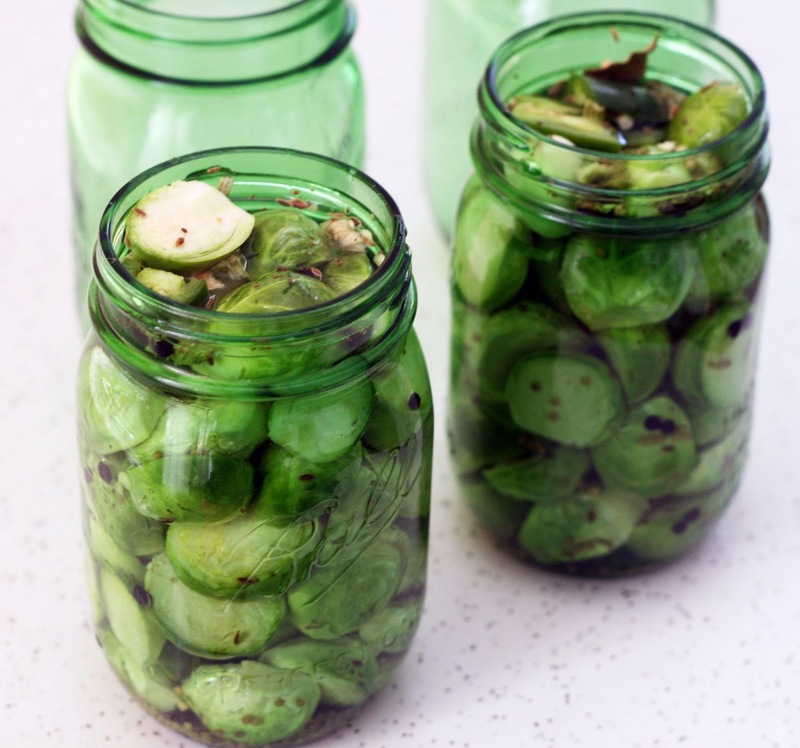 so when I ended up with a bunch of leftover Brussels sprouts, I thought they'd be perfect to pickle. 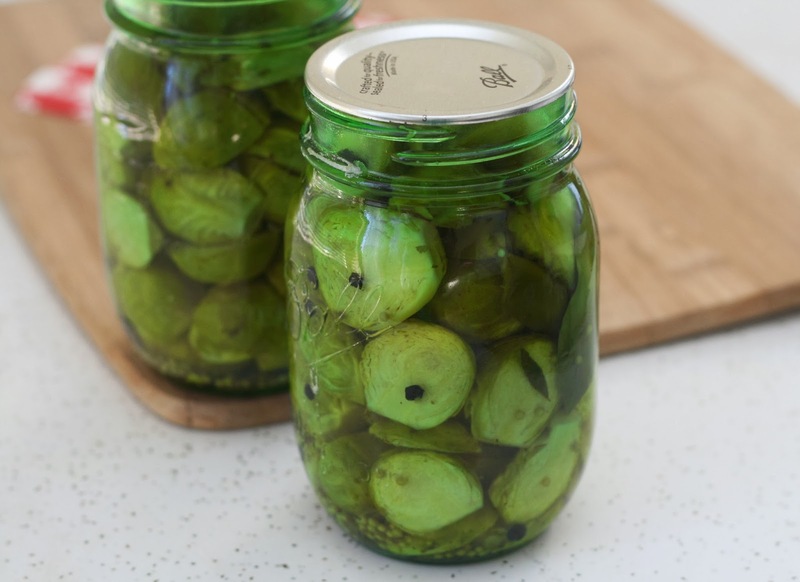 I'd never had a pickled Brussels sprout before, but that didn't stop me, a lot of my pickling has been of fruit I haven't had pickled before and it has all been delicious. I love sauerkraut so it only stands to reason that I'd love pickled Brussels sprouts as well. I had some serrano peppers so I popped one in and to mellow it out, I added some celery and dill flavors. The result? A spicy, savory bite that a pickle or sauerkraut fan would love. Try them on a cheese plate.